Essential oils are the most concentrated form of the volatile agents naturally occurring in aromatic plants. When you rub a lemon between your palms, you get a tiny dose of the lemon essential oil released by the broken oil glands on the peel. It’s easy to get a whiff of peppermint, rosemary, or orange oil as you handle each of them since all it takes is a minuscule amount to give off the characteristic smells. But it takes large amounts of raw materials and painstaking extraction processes to obtain an ounce of the essential oil. Needless to say, this is reflected in their high price. This article will delve deep into the science behind essential oils to help you make an informed decision and buy a high quality product, but if you’d like to skip all of that and see our number one choice (plus four more essential oil brands you can trust) then click here to jump to that section. Cold pressed – Plant materials that easily release their aromatic components can be cold pressed to extract the essential oils. This age-old method was commonly used for extracting citrus oils from their fruit skin. Manual extraction involved pressing the fruit with a sponge, which would eventually get saturated with the oil. These sponges were then pressed to obtain the oil. Today, mechanized processes are used for cold pressing, and the oil is separated from the oil-juice mixture obtained. Cold-pressed essential oils smell fresh and have a light color. Since the raw materials are not subjected to heat, they retain the exact aromatic content of the original plant parts. They are considered superior among essential oils for this reason, but this process is not suitable for the extraction of many essential oils. Steam distilled – In this process, steam is passed through the raw materials in a closed container. The volatile oils get vaporized and they rise up with the steam and pass through a vent into a condensation chamber. Both the aromatic vapors and the water vapor turn into liquid here, but they form separate layers thanks to their immiscibility. Most essential oils are lighter than water, so they form the upper layer and get siphoned off. Clove oil is one of the exceptions; being heavier than water, it forms the bottom layer. Essential oils extracted from leaves, flowers, roots, and the bark of plants are usually steam distilled. Essential oils of lavender, rose, peppermint, sandalwood and eucalyptus are commonly obtained this way. Although the raw materials get heated during steam distillation, the volatile components are not heated to their individual boiling points, which may be much above the boiling point of water. So steam distilled essential oils are considered the next best thing to cold pressed essential oils. Solvent extracted – This is a chemical process where a suitable solvent is used to bind with the volatile oils in the raw material. The solvent is then separated from the mixture to get the end product, which is called absolute. Alcohol has been the traditional solvent in many essential oil extraction processes because of its easy availability. It easily evaporates, leaving behind the absolute oil. Modern solvent extraction processes now use several other volatile organic compounds like acetone, propane, and hexane. The possibility of these chemicals leaving behind toxic residues in the absolute casts a doubt on their safety, so they are not used therapeutically. The high price essential oils command has resulted in several substandard commercial products. They may actually contain very small amounts of the real ingredient, or none at all. This makes essential oil purchase a tricky affair. Even experts cannot the gauge the quality or purity of the oils by just looking at them or smelling them. When trying to source essential oils for your use, you may come across many types of the same essential oil. Knowing what they mean may help you get the right quality for the money spent. For instance, products named fragrance oil, aromatherapy oil, or perfume oil are not pure essential oils. They could be diluted forms containing vegetable oils. A simple test may help you find out if the essential oil offered to you is pure or diluted. Put a drop of the oil on a paper and then allow to dry. 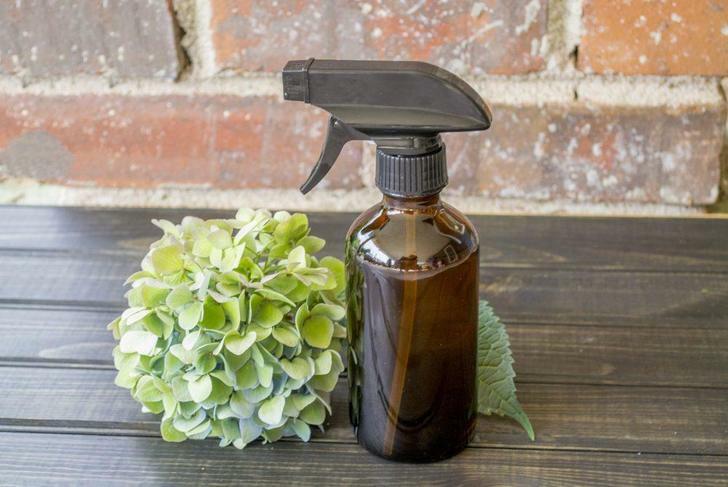 If an oil stain remains, chances are that some vegetable oils are mixed with the essential oil. Dilution may not necessarily change the effectiveness of the essential oil. In fact, you’ll be diluting pure essential oil with carrier oils for most purposes. However, you feel shortchanged. There are synthetic versions of many essential oils. They are artificially synthesized in chemical plants by combining various substances, usually aromatic derivatives of coal tar. Their chemical composition could be near identical to the natural components of the essential oils. Some may even smell exactly the same. However, they may not have the same therapeutic properties. The difference between pure essential oils and synthetic fragrance oils has a parallel in vanilla and vanillin. Pure vanilla extract is obtained from the dried and cured seed pods of an exotic tropical vine. It has a pleasing aroma, and acts as a mood booster and stress reliever, besides being an aphrodisiac. The vanilla flavoring used in all but the most expensive food products is a synthetic version of vanilla. This chemical compound is called vanillin, and it is usually derived from lignin in wood pulp. Although having a smell and flavor similar to vanilla, this organic compound has a well defined chemical structure represented as C8H8O3. But it can never have the individual and synergic effect of the hundreds of volatile compounds that make up vanilla. There’s no such thing as a therapeutic grade essential oil, even though many products may be marketed under that label. It is up to you to source the best quality essential oil for therapeutic use. Instead of searching for a label that has no real meaning, you should ask the following questions when buying essential oils. One of the things you should look for is purity. There are many essential oil blends available in the market, some formulated and marketed by reputed companies in the field. If you have a definite purpose in mind, and you find a suitable blend, it may spare the trouble of buying several essential oils and then blending them yourself. That said, don’t assume that a blend that works on one person may work on another. Each one of us has a unique body composition, and we react to the same substance differently. Also, there’s absolutely no way to verify the different ingredients and their proportions in blended oils. It is always best to buy pure essential oils individually, even if you can afford only the smallest quantity. Being highly concentrated, a little goes a long way. Also, you can check out whether something actually works for you or if you have an adverse reaction to it. This is another important consideration when you buy essential oils for therapeutic use. Since they are highly concentrated plant essences, the effect of any pesticide residue in the oil can be magnified. Make it a point to look for essential oils extracted from organically grown crops, with proper certifications attached, if possible. There are certain situations when essential oils are extracted from wild plants rather than cultivated crops. It may not be possible to obtain organic certifications for such products, but they may still be pure, and even more organic than certified products. It could be safe to buy them if you have a trustworthy source. 3. Is it what I need? You may come across many versions of the same essential oil, all certified to be pure and organic. But some of them may not be what you think they are. Essential oils can be made from different plants that share a common name, as in the case of chamomile oil. You have German chamomile and Roman chamomile, and they are not even closely related species. Their properties and therapeutic uses are different too. Fortunately, you can easily tell them apart, since German chamomile oil has an intense blue color as opposed to the pale yellow of the Roman version. But that may not be the case with others. Always make sure that the Latin name of the plant is stated along with its common name. Essential oils of closely related species of plants can cause confusion, as in the case of many citrus family plants. For example, Orange oil can be derived from different types of oranges. Sweet orange oil comes from Citrus sinensis, while Bitter orange oil is usually derived from Citrus aurantium. Again, put your trust in the scientific name. This can be even more confusing. The oil extracted from fresh ginger is different from that derived from dry ginger, both aromatically and in their therapeutic uses. The spice Cinnamon comes from the bark of the tree, and an essential oil is also extracted from it. But the leaves give another essential oil that has different smell and flavor. Citrus aurantium fruit gives Bitter orange oil, but two other types of essential oils are obtained from the same plant; Neroli from the flowers and Petitgrain from the leaves. Their common names are of help here. Don’t forget to check if the plant part is mentioned on the product label. 4. Is the company reliable? Finally, we come to the most important thing, the reliability of the essential oil producing company. Since it is next to impossible to verify the purity or quality of the essential oil––other than experientially––the best we can do is identify a reliable source. Avoid companies that sell all types of essential oils at flat rates. Also, beware of bargains that are too good to be true. Get the opinion of aromatherapists and people who frequently use essential oils. It’s a minefield out there. 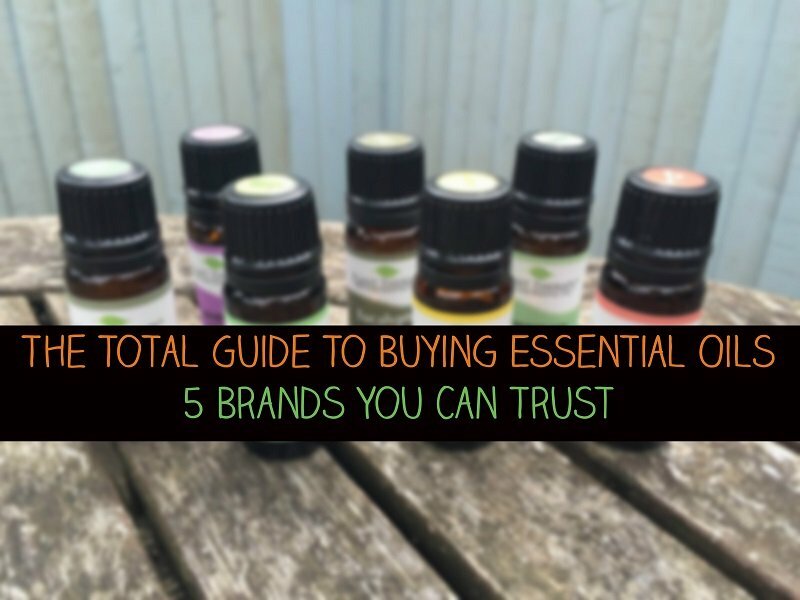 Here we reveal five of the best essential oil brands and companies who provide high quality pure essential oils at a fair price. We also take into consideration customer service and reputation. Plant Therapy are our number one choice when it comes to buying essential oils for many reasons. All oils are 100% pure, free of additives, adulterants and dilutions, the prices are affordable, the website is high quality and easy to navigate, they offer free shipping, a 90 day guarantee and free returns. They also offer pretty much every oil under the sun, have a range of organic oils, high quality starter kits and even a selection of diffusers and accessories. Shop Plant Therapy on their official Amazon store here. Every essential oil has characteristics unique to it, but many medicinal properties are common to several essential oils. Some have such wide-ranging uses that they are considered the most essential of the lot, especially if you’re limiting yourself to just a few. The following essential oils can be used for problems commonly encountered in everyday life. You will find yourself reaching for these more often even if you have a large variety at hand. It is just a happy coincidence that the top seven that make this list happen to be much less expensive than the others. If one could have just one essential oil, this is the one that would be recommended by most. The essential oil of lavender is extracted from the fragrant blooms of this plant. Its distinct aroma is relaxing and healing. Lavender essential oil is used to refresh indoor air, treat allergies and soothe rashes, bug bites and other skin irritations. It is great for general skin and hair care, and mild enough to be used for almost all skin types. The essential oil of peppermint has the strong, spicy smell we associate with the herb and peppermint flavored candy. A high percentage of menthol in the plant parts as well as the essential oil is responsible for this. This antimicrobial, pain relieving, oil can be used for dental care and digestive problems. It prevents bad breath; relieves nausea, stomach pain, indigestion, and gas; brings down fever and reduces pain associated with a headache. It can also be used on inflamed joints for pain relief. Extracted from the skin of lemons, this oil carries the refreshing citrus smell that instantly lifts your mood. Its antiseptic and antimicrobial properties make it useful for treating skin and respiratory infections and disinfecting surfaces. Its grease cutting and astringent effect is useful for cleansing and toning oily skin. Lemon oil is both stimulating and calming, so it can be used for treating stress disorders and insomnia. It relieves mental and physical fatigue and improves cognitive function. This essential oil is extracted from the leaves of the culinary herb. Although it belongs to the mint family, rosemary has not only the appearance of conifers, but the deeply rejuvenating woody fragrance associated with them. Rosemary essential oil is useful for balancing hormones, improving blood circulation, memory enhancement, and thick hair growth. It has an excellent antioxidant profile that gives it anti-cancer properties. This oil can be used for pain reduction, especially in treating neuropathy and neuralgia. Obtained from the Melaleuca alternifolia tree, this essential oil is strictly for topical use because of its toxicity. However, it can be used externally to treat a wide range of skin conditions, from skin sores and acne to psoriasis and dandruff. In fact, it is the number one herbal remedy for acne and dandruff that doesn’t respond to other treatments. Tea tree oil can be diluted with carrier oils for skin and scalp applications. Add it to warm water for a footbath to treat athlete’s foot and nail fungus and to control smelly feet. Spot application on warts and cold sores promotes healing. Sweet orange oil is obtained from cold-pressing the skin of the common orange, Citrus sinensis. This aromatic oil is an antidepressant that is frequently used for treating depression and chronic fatigue. Like other citrus oils, it has antiseptic properties that come in handy for treating skin infections and dental problems, including mouth sores. Orange oil can be used to treat stomach problems and to improve digestion. It is considered an aphrodisiac too. The monoterpene D-limonene which forms the bulk of sweet orange oil has proven anti-cancer effects. Distilled from the leaves and bark of eucalyptus trees, this oil with an unmistakably strong smell has uses in the treatment of serious conditions like chest infections, bronchitis and pneumonia. It is a strong pain reliever too, particularly useful in bringing down the acute pain associated with shingles. Use eucalyptus oil in very small quantities, and always with carrier oils when applying to the skin for shingles and fibromyalgia. Keep a handkerchief containing a single drop of this essential oil under your pillow for relief from asthma and sinus congestion. One could start with these seven multi purpose essential oils and then gradually add others like chamomile, rose geranium, oregano, cedarwood, frankincense, and sandalwood. Among these, sandalwood oil is one of the most expensive essential oils. Whatever you do, take your time doing your research before purchasing oils, especially if they seem to be a deal that is to0 good to be true. Looking to buy an essential oil diffuser too? Check out our detailed review of five of the most popular on the market and reveal our “Top Pick”.